Gluten and infertility, could bread be the reason you can't get pregnant? 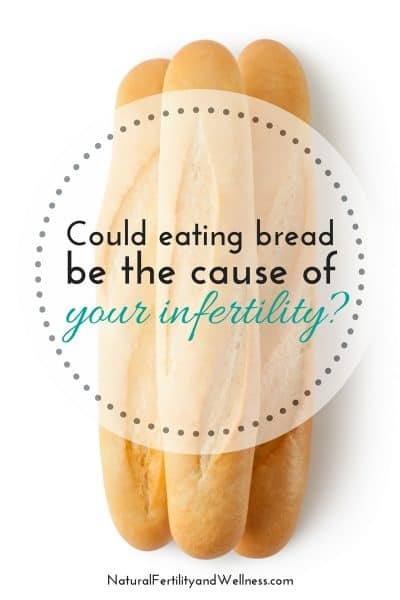 Could bread be the cause of your infertility? Did you know that about 40% of all Americans are sensitive or allergic to the gluten found in wheat products? Many don’t even know it (because symptoms vary and it’s often not tested for). 1 out of 133 are severe enough to be labeled as celiac. 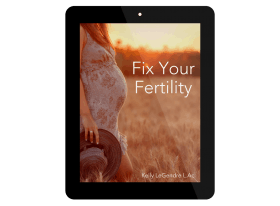 And if you’ve been trying to get pregnant for some time and have yet to conceive, or have had multiple unexplained miscarriages, you may want to pay attention, because gluten and infertility are connected. Even if you really, really, really love bread. Or pasta. Gluten is a protein found in wheat, spelt, kamut, barley, and rye (it’s even in regular white bread – when I talk about “wheat”, this means any and all forms of the flour that come from the wheat grain – some people don’t realize that white bread is wheat bread, just the refined version of it). It helps bread dough to be elastic and causes it to maintain form as it rises. But one of the problems with gluten now is that it’s in everything! And too much of a good thing is well….not a good thing. We eat more wheat products now than ever in history because breads are so convenient due to mass production. Food manufacturers also add wheat and/or wheat gluten in a large majority of processed foods. Another one of the other issues with our modern wheat breads is that it has been changed over the last century. We’ve become a society that loves nice fluffy breads and baked goods. To achieve this we’ve hybridized the actual wheat berry so that it now contains more of this gluten protein and we also add in more while baking to give it even more elasticity while rising. In people who are sensitive to gluten, the body actually attacks the lining of the intestine, damaging the gut wall and causing pain, diarrhea, constipation, and malabsorption of nutrients. This, often combined with the negative effects of antibiotic usage, too many sweets, and the lack of probiotic foods in our diet, creates gut permeability – or the “leaking” of particles through the gut wall. When these particles get into the blood stream, they find their way around the body and “settle” in different areas. The body then attacks these particles and any other particles that look similar. This can cause a host of auto-immune issues as proteins and different particles of food can be similar to thyroid cells, pancreas cells, etc. One of the biggest problems with gluten intolerance or gluten allergies is that there can be a long list of seemingly unrelated symptoms – and not all of them are specific to the gut! People with celiac disease, a true wheat allergy, on average, suffer for about 7 years before a diagnosis is made. And their intestinal wall is constantly being damaged during that time. Last February, while doing some research for a blog post, I stumbled across an article about gluten that made me think my husband’s health may change for the better if he went gluten-free. After convincing him to give it a try I started cooking completely gluten-free for him while retaining just a small amount of wheat products in my and my sons diet. The first week or so was tough as not only did we have to get used to eating completely different, he started to experience withdrawal/detox symptoms and some pretty bad headaches. A couple of weeks went by and he started to notice he felt better. And not just the things we thought would get better! He started sleeping better through the night and he wasn’t as sore and tired as he had been previously. After about 3 months he decided to try a bit of bread to see what happened. And boy did he find out! He got headaches for 3 days, muscle pains and aches, and stomach upset. It was clear he was sensitive to gluten. A year later his body has healed enough where he can tolerate a small amount of wheat and normally only in the form of spelt. We spent 5 years completely gluten-free. We currently do eat a “low-gluten” diet most of the time and try to make most of our wheat products at home with the process of sourdough. Melissa Diane Smith, author of “Going Against the Grain” has been stated as saying that the leading cause of recurrent miscarriage is an undiagnosed gluten sensitivity. She also said that 85% of her PCOS clients showed positive for it as well. (It is also been shown to have a direct correlation with Endometriosis) Men are not immune to infertility due to celiac either as they may also suffer from unexplained infertility. So how does gluten specifically affect fertility? One of the theories is that the damage to the intestinal wall can lead to a lot of nutrient malabsorption. 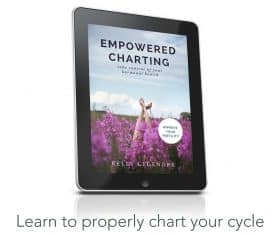 When the intestines can’t properly absorb nutrients like zinc, selenium, iron, Vitamin D…it leads to lowered hormone production and those hormones often don’t get signaled at the right time. Mal absorption basically leads to the body not being fed what it needs in order to produce the right amounts of hormones needed for conception or to bring a pregnancy to term. There is also the fact that celiac is an auto immune disease meaning that the immune system begins to attack parts of your body, which can be anything from your thyroid to pancreas, to even the placental tissue. Gluten may also cause inflammation in the body. This inflammation sends the signal that the body is in danger. Your body then, being very intelligent, will focus on what it needs for survival – and reproduction is not necessary for your survival. If you think you have a gluten sensitivity, your doctor can run a blood test called an IgA to see if you have certain antibodies specific to celiac. It’s not 100% though and may not offer a wide enough view, so your symptoms must also be looked at and taken into consideration if it comes back negative! There is also the issue that if you don’t have full-blown celiac, but are still “intolerant” to gluten, the tests won’t show it. If that happens to be the case, I do know that holistic doctors out there have a different tests they use, everything from using kineseology to running a IgG lab. Alternatively, you could also try going gluten-free for a couple of months! (It takes at least a few weeks for the effects of the wheat to get out of your system, so one week just isn’t long enough) Watch for symptoms when you cut it out, and if you in fact have an intolerance to it, you’ll notice when you eat something with gluten in it after a month or so. And even if you haven’t had a positive diagnosis, your health care professional can help you figure out what a gluten-free diet may look like for you. Going gluten-free can be tough – I won’t lie to you. But it can also be very worth it in the end! There are now a lot of different resources both online and in print which does make it easier, but gluten-free living is a total switch from a normal American diet. Gluten is used in a lot of processed foods and you really have to start reading the labels, and if you truly have celiac, that means replacing things like your toaster and cutting boards. You also need to make sure that you’re not just looking for substitutes for your normal fare! 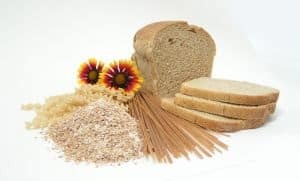 Gluten free eating can be just as unhealthy if you constantly buy products that are full of other ingredients (bad fats, sugar, stabilizers) that help get the texture close to wheat. My advice would be to also research a primal or paleo diet and equip yourself with recipes from them so that you can cut out your bread and bread substitutes. Simply put the focus on foods that are already gluten-free! Since it would take a book to write all there is to know about gluten sensitivities, here are a few other resources for you. What is a gluten sensitivity/intolerance? My friend Michele, over at Frugal Granola, actually found out (herself!) that she had celiac. This was after she had multiple miscarriages and other health issues. Though not online much anymore, her site has some great information and gluten-free recipes. She was the one whose brain I picked constantly while making the switch to Gluten Free eating last year. The Silent Cause to Poor Health – a fabulous podcast with gluten expert Dr. Tom O’Bryan. In this podcast he also explains a bit more about the link between gluten and infertility, even infertility in men. Can You Prevent Gluten Intolerance? Hi Donielle – our entire family does better without grains in general, and those with gluten in particular. We spent many years eating those foods and suffered a myriad of health issues because of it. My husband definitely gains weight when he eats bread and now he’s back to eating it again. He also enjoys beer, which contains grains as well. I’ve been trying to convince him to return to a low ratio of these items, but he’s in a high stress situation with our new business getting going and he doesn’t make the time he once did to eat as healthy as he used to. He eats out more than our whole family does since he is away from home more. I’ve tried to get him to come home for lunch since he’s only 1 1/2 miles away, but he always says he’s too busy. So I try to deliver a home-made meal to him whenever I can, but since we home school I find that I just can’t always fit it in. I’ve been avoiding most grains now for the past couple of months other than an occasional piece of sprouted grain toast and sprouted corn tortillas with Mexican dishes we make. I definitely notice a vast difference. Although it hasn’t improved my fertility, I still notice an enormous change in most everything about my health when I don’t eat grains. Thanks for this post! @Raine Saunders, I’ve been trying to cut out most grains as well – but that sure is hard! 🙂 On a normal day though we usually only have one meal with some type of grain. Bad days we have 2. I’m really trying to psych myself up to go grain free for a month or so and see what happens. It’s just hard to wrap my head around it and figure out all the details! My friend just found out she has celiacs after years of feeling horrible, and even having her gall bladder removed! I’m so happy she is feeling much better. It’s amazing how much you hear about it now! Great post. I’ve been wondering if I have a gluten sensitivity, which is causing my fertility issues. I’ll bring it up to my acupuncturist soon to see if he has any feedback. I guess I am very lucky that I was able to conceive. I was able to get pregnant on our first try twice. But when eating gluten my cycle was 42-45 days regularly and I was diagnosed with PMDD and put on medication. Now, GF and med-free, my cycle is 25-28 days regularly and I have few to no PMS symptoms. It is like I have regained weeks of my life I used to spend in bed. this dramatic difference is what convinced me gluten and I just don’t mix. A strict GF lifestyle is very difficult. I don’t eat out at restaurants…ever. I have found I am just that sensitive. Simple cross-contamination gives me stomach cramps. I don’t eat many packaged foods because the GF baked goods also give me a stomach ache, so I feel as though I am cooking non-stop. It is frustrating that fresh veggies and lean meats are more expensive than the less healthy food choices. But we are so lucky that we are able to afford this diet that is so important for me. There are so many growing resources out there to help GF people navigate, we are truly lucky. The thing that has surprised me most is that gluten affects so many of us…those with aspergers, autism, and those with eczema. It is something I think many more are going to pay attention to in the near future. Thanks for your resource links too! I am off to check them out. Oh, gluten, my nemesis. I know I feel better when I’m GF, but it’s an on again/off again relationship. Sometimes it’s easy breezy, sometimes I want to throw a 2 year old tantrum about not being able to eat anything ever. a quick visit of this website; this website carries amazing and really fine information in favor of readers.